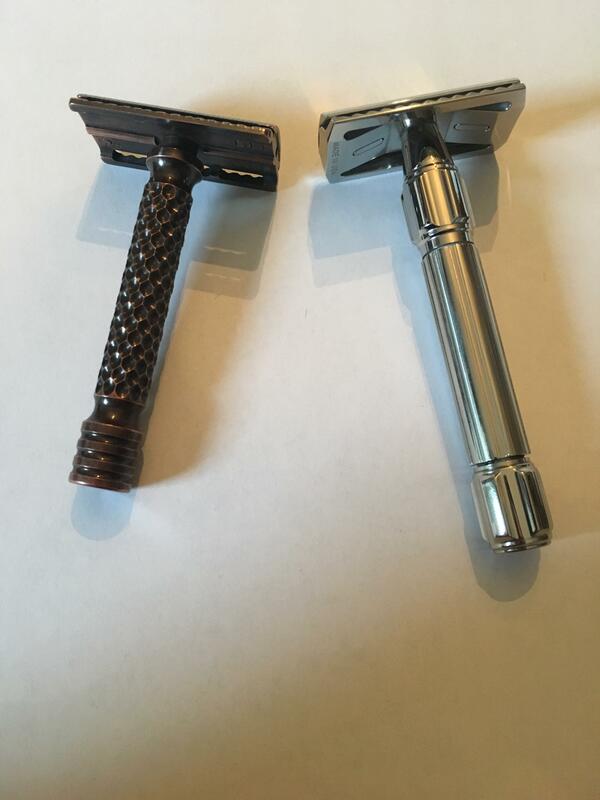 What are your top Two DE Razors? There has been much said about the RS-10 razor, and it is one of my top two favorite DE Shavers! It’s smooth as ice, and I enjoy being able to swap out base plates. I really love everything about it! What I did not realize though was the utter quality that is to be found in the Charcoal Goods Razors! I am happy to say my new CG shaver rounds out the top two...and I would be hard pressed to pick between it and the exclusive RS-10! 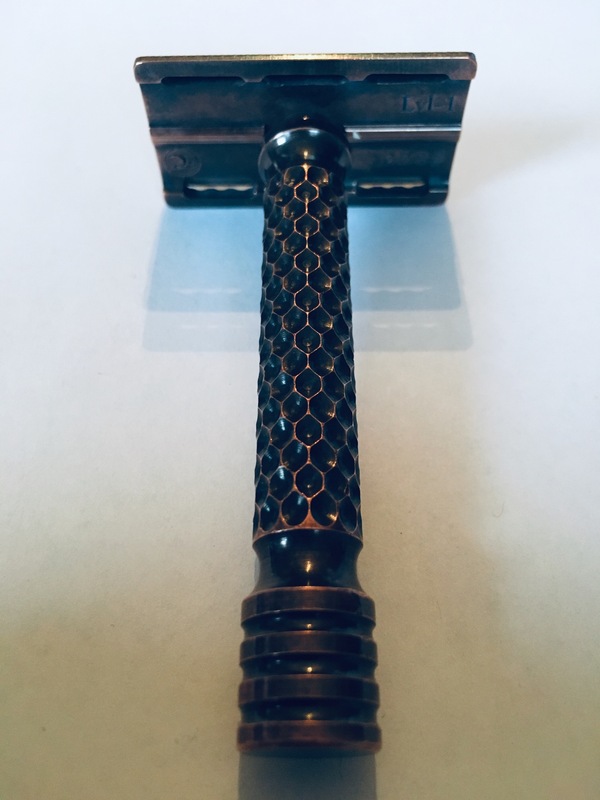 This one is copper with an antique finish, and not only is it a unique and handsome little brute...but the shave is BRILLIANT!!! 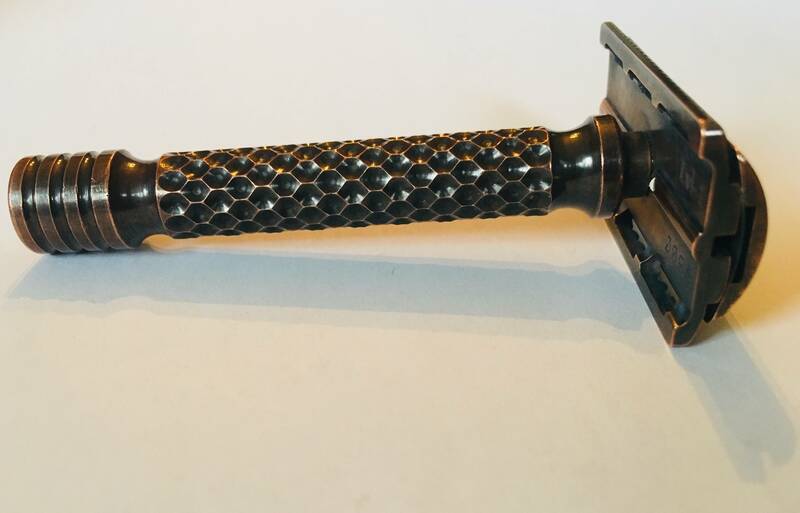 This Brian chap somehow figured out how to create a razor that has wonderful blade feel, while at the same time being very mild (Level-1). I gave myself a big league BBS shave this afternoon, and I am still trying to figure out what happened! I am not supposed to have super blade feel, with such mildness! It shakes shaving logic as far as DE’s go! At any rate, what are your top two? 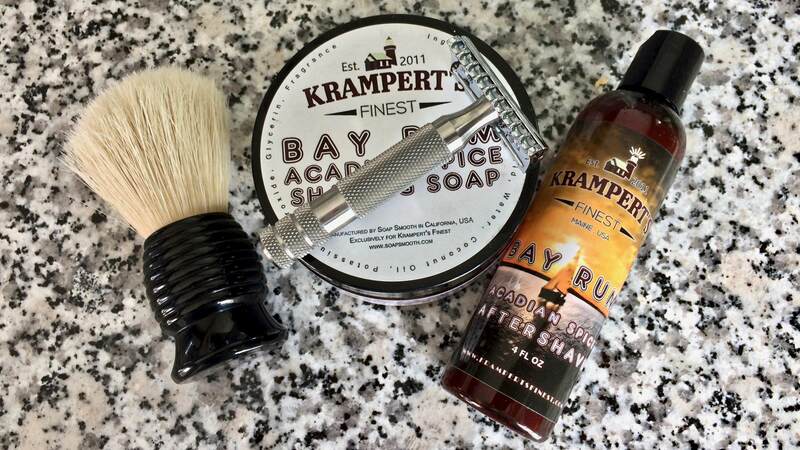 The timeless razors are wonderful! I had a .68 with the scalloped cap but I sold it because I just wasnt using it once the RS-10 arrived on the scene! I haven’t tried the Raw, but the Charcoal Goods Level 3 open comb in antique brass has been my favorite for a few years. The Timeless Bronze .78 open comb, which I’ve had for several months, is my second favorite. Thanks Primo! You have some nice looking ones there as well...I need to revisit my straights and my vintage DEs! I actually cannot tell which razors would be my top two as I received several razor in the last 2-3 weeks that are just incredible and I haven't experimented enough with them to make a clear statement. I'll try to be back on this thread in a couple of week to have a more definitive 2 top razors! (03-24-2019, 04:20 PM)Ols67 Wrote: Thanks Primo! You have some nice looking ones there as well...I need to revisit my straights and my vintage DEs! Thank you, Matt. I am an "old school" kinda shaver. Rs10. Everything else has taken a back seat. At least based on how often I grab them. But it'll change as I get tired of them and others will take their place. Blackbird SB. I had the open comb version but ended up selling it because it was a little too aggressive for me. Promo: I also have an R41 2011 and it sits solidly in 3rd place for me. I don't use it that often but when I do the shaves are always outstanding. You know what Shawn, since I started shaving with a straight, the shaves I get from the R41 have improved exponentially. If the question is in regards to top two in terms of efficiency and comfort, then my answer this month, actually all this year so far, is my iKon B1 OSS on an Asylum Rx handle, and the Game Changer .68 on the stock barberpole handle. I had been using the GC with a Weber Wave, but am finding recently that it works just a hair “better” when paired with the matching OEM handle. (03-24-2019, 02:45 PM)Ols67 Wrote: At any rate, what are your top two? o Feather AS-D2: typically Japanese attention to the smallest detail, and unsurpassed manufacturing precision. 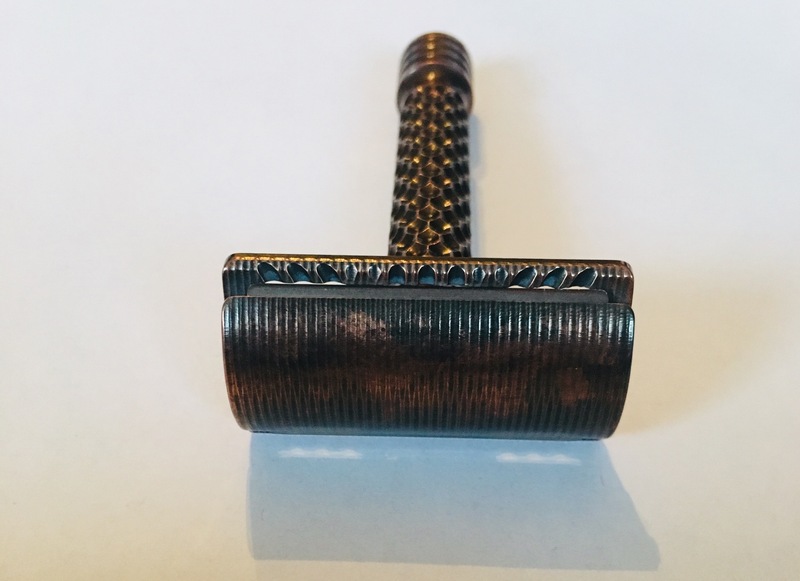 A very mild razor that, consequently, has a bit of a learning curve to maintain the proper angle of application for the various parts of your beard. 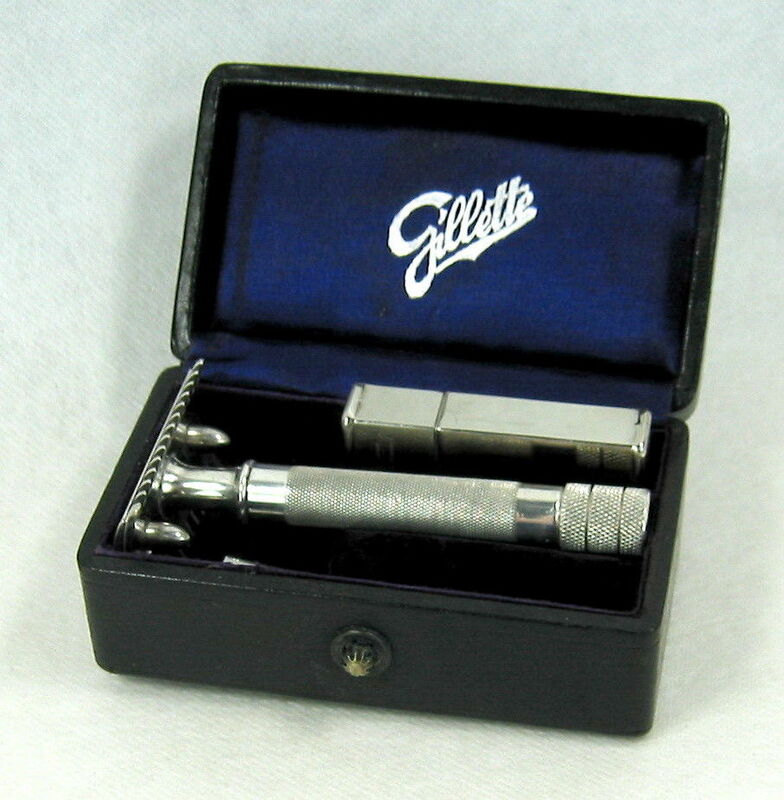 Once the technique is mastered, provides a very close and smooth shave with an absolute minimum of irritation. o iKon Deluxe Open Comb: close enough in design to the Feather AS-D2 that the parts of the two razors are completely interchangeable, but significantly more aggressive than the Feather AS-D2 without venturing into dangerous territory. Muhle r41 and still enjoy shaving with rockwell 6s. (03-24-2019, 08:27 PM)Mel S Meles Wrote: Feather AS-D2: typically Japanese attention to the smallest detail, and unsurpassed manufacturing precision. 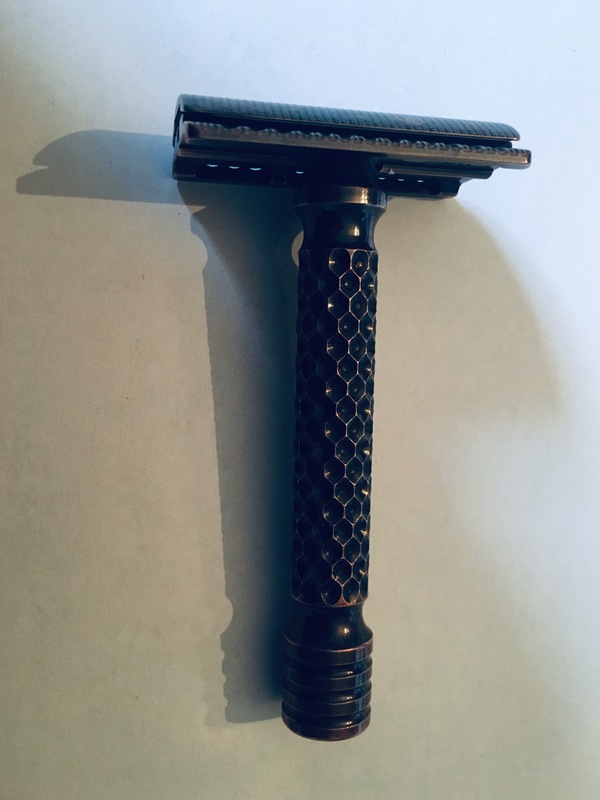 A very mild razor that, consequently, has a bit of a learning curve to maintain the proper angle of application for the various parts of your beard. 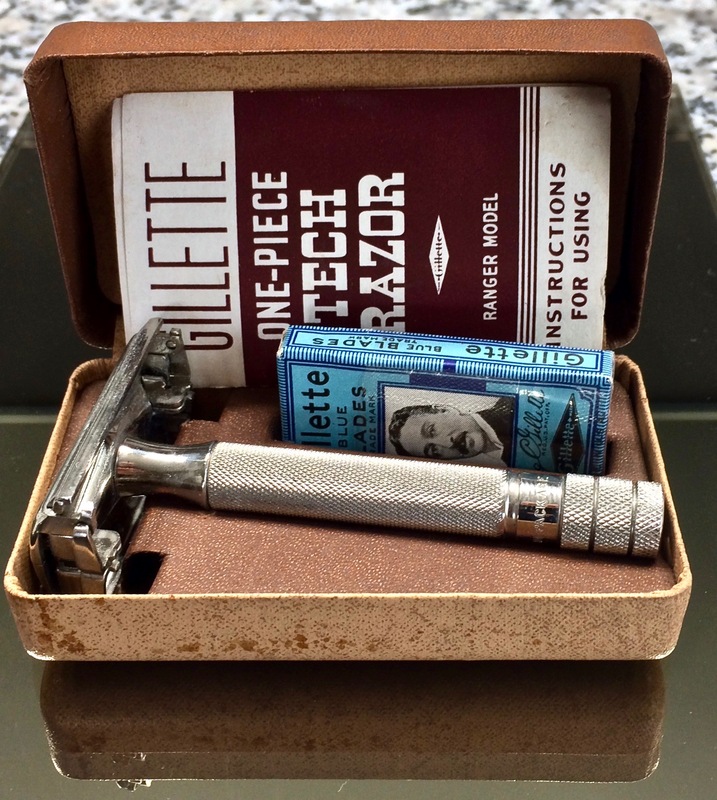 Once the technique is mastered, provides a very close and smooth shave with an absolute minimum of irritation. I agree with every single word there! Precision of the angle when shaving is very impressive ! Charcoal Goods Level2 and Blackbird SB. Level3 SB plate and Wolfman 1.15SB incoming, so lets get ready to rrrrumble.